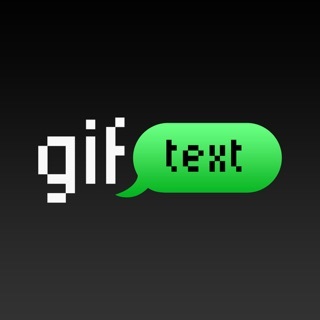 Send Hilarious GIFs with text! Make your friends laugh by simply writing a message and clicking on the Guggy button. 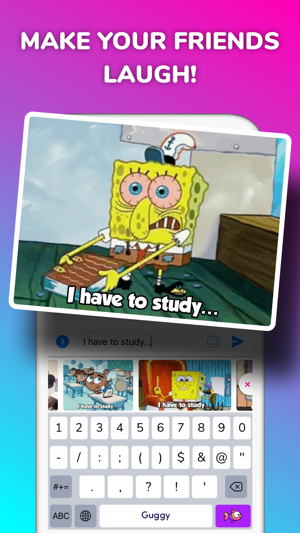 You no longer need to spend time searching for GIFs - Now they're just a tap away! - Make memes in seconds. - Select from Dozens of awesome GIFs for each message. 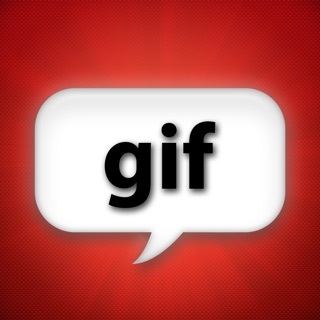 - Make a GIF in any language! - Add Emojis & text smilies to your animated GIF. - Share GIFs everywhere - Send GIFs in WhatsApp, Facebook, Telegram, Viber, Snap and more! 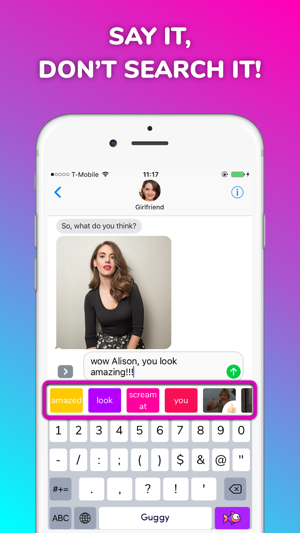 - Maintain your privacy - Guggy only uses your text messages to produce awesome GIFs. - 100% free - You are free to use Guggy as much as you want, just have fun! If you have any questions you are welcome to send us an email at support@guggy.com - we want to hear from you! I'd gladly pay a couple bucks to be able to send gifs without the Guggy branding. Can not upload to Kik ???! My only complaint! Or I’d give you 5 stars! Please fix? © 2017 Guggy Global Fun Ltd.